Delivered in Richmond on Wednesday, 26 November, 2014 (approximate), during the Victorian State Election 2014. Uploaded on Wednesday, 26 November, 2014 at 12:05. 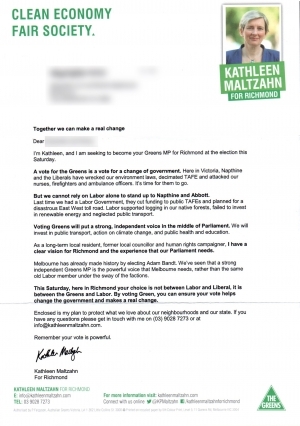 I'm Kathleen, and I am seeking to become your Greens MP for Richmond at the election this Saturday.